This is a story about a car that’s close to me. Not my car, mind you, but a car I know quite well, in that The Wife drives a Chevrolet Impala LS as her company car. 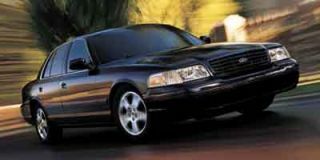 When another Chevrolet Impala LS appeared in the drive for evaluation recently, it occurred to me that I have certain invaluable life experiences with this particular auto that I most certainly want to share. 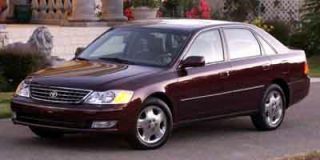 They are relevant even though The Wife’s Impala is a 2002 model; my tester was a 2003; and 2004s are already hitting the showrooms. The car has changed exceedingly little in this three-year model cycle. 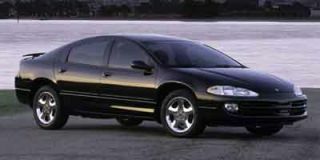 Perhaps the biggest news for ’04 (which is mostly irrelevant here) is the debut of a supercharged Impala SS making 240 horsepower and costing $27,995, base price. 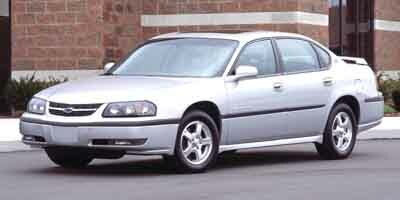 The Wife’s Impala, on the other hand, is an LS model whose base price in 2004 is an even $25,000. Underhood is GM’s venerable 3800 Series II V-6, whose traditional pushrod architecture is good for 200 hp and 225 pound-feet of torque The Impala boasts four-wheel independent suspension, four-wheel anti-lock disc brakes and traction control to tame the occasional chirp from the front-driving wheels. Inside you’ll find standard dual-zone air conditioning, OnStar telecommunications, and a reasonably decent AM/FM/cassette sound system to which The Wife added an optional CD player. My tester was very similarly equipped. The most marked difference was the inclusion of what Chevy calls a $1500 Sport Appearance Package consisting mostly of spoked aluminum wheels, stainless steel exhaust tips and “Corvette-inspired” tail lamps. The point, as should be obvious by now, is that the Impala is a basic modern family sedan. 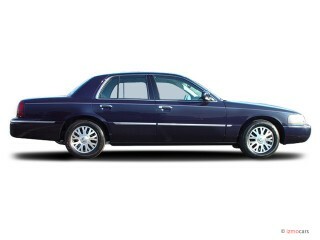 It is the archetype of such cars, in fact. Accordingly, it is virtually invisible in its ubiquity. 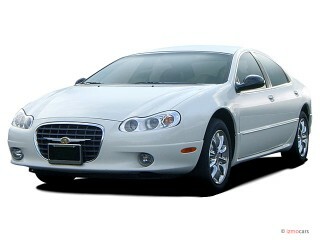 As in The Wife’s case, the Impala is a corporate fleet car par excellence. It’s a mainstay of rental car ranks. In today’s climate of SUV mania, Chevy’s Impala is one of the proles of the road. And then a very curious thing happened this summer that has caused me to revise this estimation. Despite all our best efforts to retard the march of time and to accelerate our meager fortunes, Number One Daughter marched off to her first year of college. Rather, she was conveyed there in an Impala LS, with all her worldly possessions and her siblings by her side. As a result of the experience, my perception of the contemporary automotive streetscape has been permanently altered. You see, we decided to transform The Wife’s company car into a Conestoga Wagon for this particular mission of matriculation. Seating wasn’t a problem, of course. Thanks in particular to an optional front bench seat whose gadget console/armrest folds up to make room for three, the Impala can seat a total of six in a pinch. And the trunk is conveniently rectangular and almost cavernous at 19 cu. ft. But you can trust me on this: No self-respecting incoming freshman at Austin, Tex., can manage for an entire school year with a mere one-fourth share of a 19-cu.-ft. trunk. What to do? Well, I’m a backpacker, you see; and what could be more reasonable to a backpacker than packing one’s possessions upon one’s back for an overland trek? Or, in this case, upon one’s roof. A visit to our local REI outfitters resulted in the purchase of a removable roof rack from Thule and an accompanying "Space Cadet" cargo box from Yakima. For less than $600, I had, in effect, stumbled upon a too-little publicized alternative to a full-fledged SUV — an alternative that I call the “Don’t that top all” option. I first suspected I was on the right track when Daughter Number Two pointed out, entirely uninvited, that an Impala with a roof rack is a different sort of beast entirely. “Whoa, that’s cool,” she said. “It looks so different, sorta sporty like,” she added, daydreaming I’m sure about the prospect of getting a mountain bike or a kayak hitched up there some day. For me, the transformation was not complete until those 15 extra cu. ft. of Space Cadet stowage were securely attached to the rack. That’s when it hit me: For a very competitive price in the middle-$20,000 range, someone looking to seat up to six people, haul up to 34 cu. ft. of cargo and savor 19 mpg/City, 29 mpg/Highway fuel economy could do far worse than an Impala with a “Don’t that top all” option. I’m not especially surprised that more attention isn’t being paid to this particular strategy for resisting the SUV tidal wave. Despite the “no-tools-whatsoever” procedure for installing a rack and box to the roof of a sedan, it’s still what the marketers call a two-stage sell. First, you buy your car at one place; then you buy your box somewhere else. The very reason why a typical auto dealership doesn’t handle rooftop cargo boxes is undoubtedly the serious alternative they pose to would-be SUV buyers. The math isn’t all that hard to decipher. Profit margins on Yakimas don’t compare very well with profit margins on Yukons. I’d be the last to say that a rooftop box is a universal panacea for calming the SUV mania in our midst. But it’s remarkable what you can do with them when you understand how versatile they are. Or put another way, it’s remarkable what a thorough transformation a cargo box effected upon a humble Chevrolet Impala for an important cross-country trip. In the blink of an eye, a decent, hard-working sedan matured into an efficient, economical overland hauler. And when the trip was done and I’d removed our Space Cadet for a well deserved “at ease,” Daughter Number Two still thought the Impala looked pretty cool. Great car, really good on gas for the size of it with a v6 engine, I got 35mpg driving 110 to 120 km/h Lots of these cars where built and that is good to find used parts to keep the older ones running cheap... Great car, really good on gas for the size of it with a v6 engine, I got 35mpg driving 110 to 120 km/h Lots of these cars where built and that is good to find used parts to keep the older ones running cheap. One thing I don't like is that you can't shut off the cruse control without hitting the brake pedal. Really like the radio controls on the steering wheel.